“The narrative in Ian Rankin’s latest novel is so accurate that the reader feels like a fly on the wall in an actual police station in Edinburgh,” writes Akhil Kakkar. 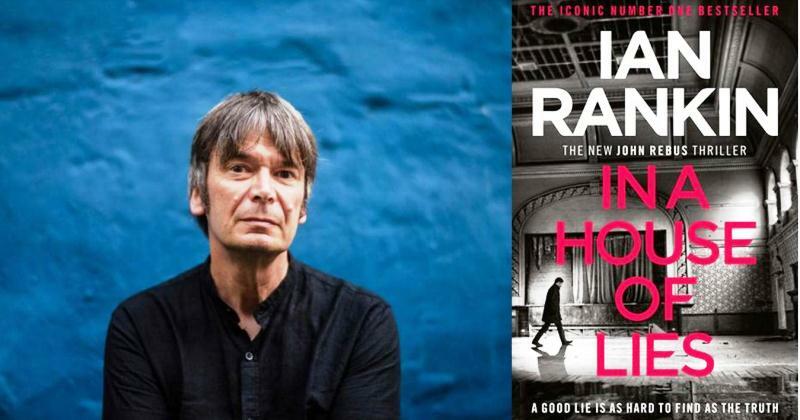 The pre-eminent commitment that author Ian Rankin has made to his Inspector Rebus novels is to let his Edinburgh-based central character age in real time as the series progresses. Rebus made his debut in Rankin’s 1987 novel Knots and Crosses and he retired from the police force in the 2007 novel Exit Music, which was the 17th in the series. In the latest Ian Rankin novel, In a House of Lies, which is the 22nd in this series, Rebus’ protégé Siobhan Clarke is the central police character. The teetotaling and meticulous Malcolm Fox, who now is a Deputy Inspector in the Scottish Crime Campus in Garctosh (a village near Glasgow), also features again in this novel. In a House of Lies starts with four boys stumbling upon a body in the woods. Siobhan Clarke has been assigned to the Major Investigating Team (MIT) that is allocated this case. While the team is trying to identify the decayed body, Siobhan gets a call from John Rebus claiming that the dead man most probably is Stuart Bloom, a gay private investigator who disappeared twelve years ago. Rebus states that he had been part of the team that had investigated Bloom’s disappearance in 2006. We learn that just before Stuart Bloom disappeared in 2006, a film producer named Jackie Ness hired him. Ness was involved in a gritty land deal – he wanted the land to build a film studio, and his adversary, Adrian Brand, wanted the land to build a golf course. Now, MIT suspects that Stuart Bloom’s disappearance has something to do with the feud between Ness and Brand. Siobhan and the MIT uncover a tangled web of corruption and lies that occurred in the (mishandled) original enquiry of Bloom’s disappearance in 2006. This house of lies has the possibility to further besmirch Police Scotland’s reputation, which is already harmed by recent scandals. Therefore, to keep an eye on the damage, Malcolm Fox is sent from the Scottish Crime Campus (in Garctosh) to Edinburgh. Rebus is long retired and not in the best of health, but he’s never been out of the game. Apart from helping the MIT with the Stuart Bloom case, he’s also helping Siobhan with another old case where the convict, Ellis Meikle, is charged with stabbing his girlfriend to death. Also, Siobhan has some problems of her own; she’s recently been investigated by the Anti Corruption Unit – an investigation that eventually comes to nothing. As the story unravels, we learn that things are not what they seemed to be in the beginning. There are unexpected twists and revelations throughout the novel. Also, the police-procedural narrative in this novel is so accurate that the reader feels that he/she is a fly on the wall in an actual police station in Edinburgh. Akhil Kakkar is a Delhi-based writer. He has an M.A. in Creative Writing from Brunel University, London, where his dissertation tutor was Booker-longlisted author Matt Thorne. He has also attended the ‘Time to Write’ course at the University of Cambridge twice, and has been mentored by renowned Indian author Anita Nair. He recently was the Artist-in-Residence at Burren College of Art, Ireland. His work has been published in Bangalore Mirror, Scroll, The Criterion, Voices From The Attic, #TellMeYourStory, The Madras Mag and Arré.